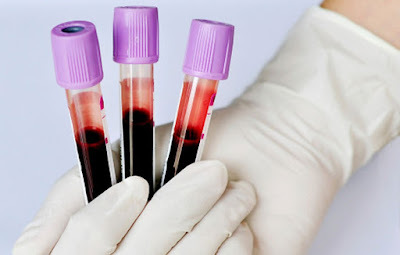 On June 1, the U.S. Food and Drug Administration (FDA) approved a liquid biopsy test, a companion diagnostic test called cobas EGFR Mutation Test v2. The test uses plasma samples to identify patients with metastatic non-small cell lung cancer (NSCLC) eligible for treatment with the EGFR-targeted therapeutic erlotinib (Tarceva). 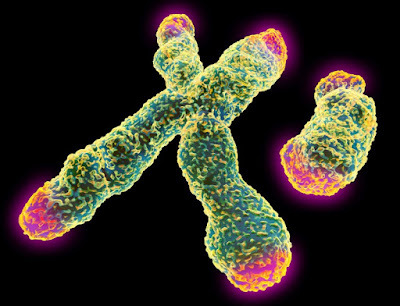 The test detects specific alterations in the gene epidermal growth factor receptor (EGFR): exon 19 deletions or exon 21 (L858R) substitution mutations. These mutations are present in about 10 to 20 percent of NSCLCs, the most common type of lung cancer. This is the first liquid biopsy test approved for use by the FDA. Male family physicians, or general practitioners, may be overlooking the risk of cardiovascular disease in female patient because they more often see it as a man's issue, according to new research published in the European Journal of Preventive Cardiology. Heart disease is a leading cause of death in the United States. Since the 1980s, developed countries have seen a fall in the number of deaths from cardiovascular disease (CVD). Around 50 percent of this improvement is thought to be because of preventive action. In men, the rates of mortality from CVD have dropped more than they have in women. There is also evidence that men receive better cardiovascular care after experiencing a cardiovascular problem, as well as better secondary prevention. 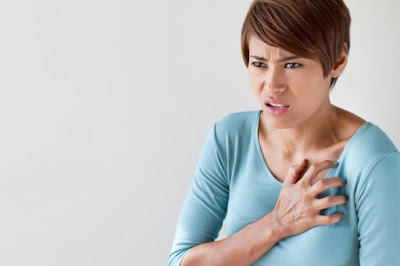 Women, too, may be at risk of heart disease. Diabetes and Stress: What's the Connection? Diabetes is a complex disease, with varying risk factors and causes. 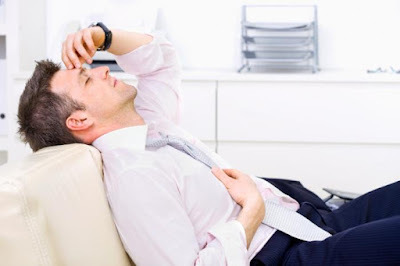 Stress, especially long-term stress, interferes with the body's ability to manage blood sugar levels. As managing sugar levels becomes more difficult, the risk of long-term problems increases. In this article, we will examine what stress is, how it is caused, and how it affects people living with diabetes. Since stress is a natural part of life, we will also discuss tips for managing and preventing stress. How does stress affect people with diabetes? How can stress be managed and prevented? Read more: Diabetes and Stress: What's the Connection? Stress can cause blood sugar levels to rise in people with diabetes. 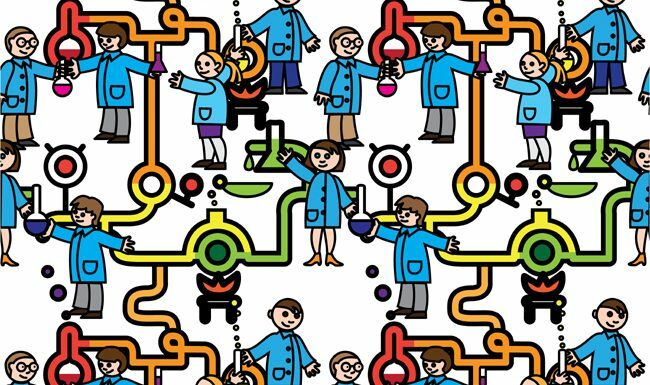 Are engineers considered scientists? 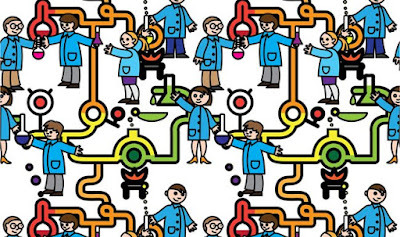 What about lab technicians, archaeologists and art historians? AsianScientist (Jun. 15, 2016) - Two things happened recently that made me ponder a question that’s really going to open a can of worms. Case No. 1: Catching up with an old friend who decided to leave the lab for the bright lights of banking, we started discussing our work and he mentioned meeting someone who introduced themselves as a scientist. Further probing of his new acquaintance revealed that this person worked in a diagnostics lab. My friend was outraged. “How dare this person misrepresent themselves as a scientist?” he scoffed. “Putting on a lab coat and running blood tests all day does not make one a scientist!” When I pointed out that this is actually the general stereotype of a scientist in the eyes of non-scientists... let’s just say this conversation got a bit frosty. Read more: What Is A Scientist? A blood test used to determine whether a heart is suitable for donation may be leading to unnecessary rejections, and its use should be reviewed. This is the conclusion of a new study published in the journal Circulation: Heart Failure. causing unnecessary rejections, say researchers. Epigenetic changes are caused by biochemical regulators of gene expression that can be transferred across generations or through cell division. 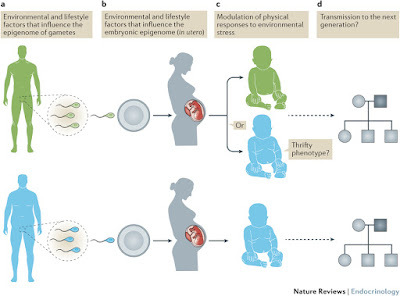 Epigenetic modifications can arise from a variety of environmental exposures including undernutrition, obesity, physical activity, stress and toxins. Transient epigenetic changes across the entire genome can influence metabolic outcomes and might or might not be heritable. 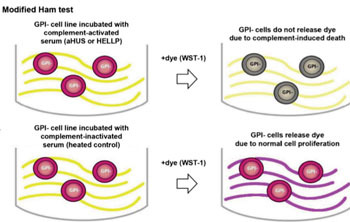 These modifications direct and maintain the cell-type specific gene expression state. Transient epigenetic changes can be driven by DNA methylation and histone modification in response to environmental stressors. A detailed understanding of the epigenetic signatures of insulin resistance and the adaptive response to exercise might identify new therapeutic targets that can be further developed to improve insulin sensitivity and prevent obesity. This Review focuses on the current understanding of mechanisms by which lifestyle factors affect the epigenetic landscape in type 2 diabetes mellitus and obesity. 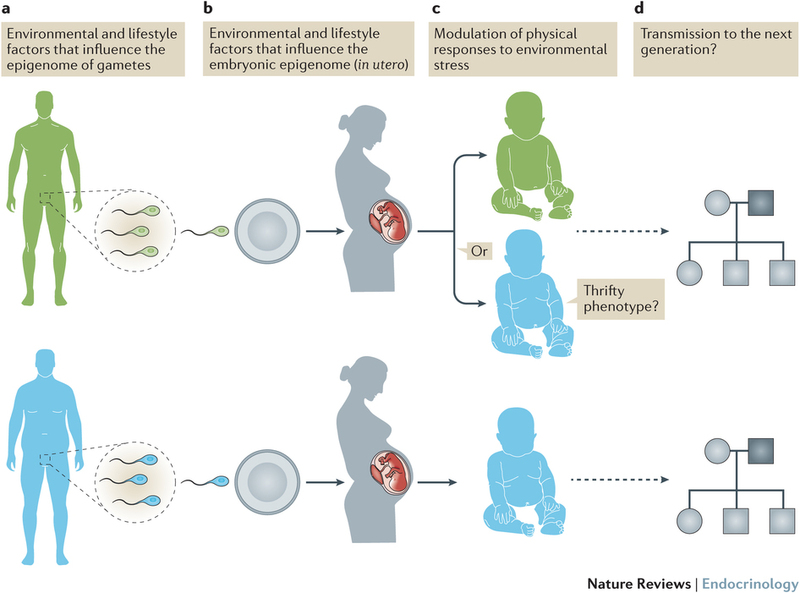 Evidence from the past few years about the potential mechanisms by which diet and exercise affect the epigenome over several generations is discussed. Studying the epigenetic signatures of insulin resistance and the adaptive response to exercise might provide insight into gene–environment networks that control glucose and energy homeostasis. Figure 2: Putative effects of exercise and obesity on the predisposition to metabolic diseases. Could a robust immune system protect against heart attack? After studying a group of patients with high blood pressure, researchers found those with higher levels of certain antibodies had a lower risk of heart attack - regardless of other risk factors. 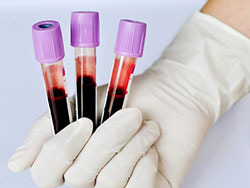 They suggest a blood test to measure antibody levels could help assess a person's risk of heart attack. The study, from Imperial College London in the United Kingdom, is published in the journal EbioMedicine. 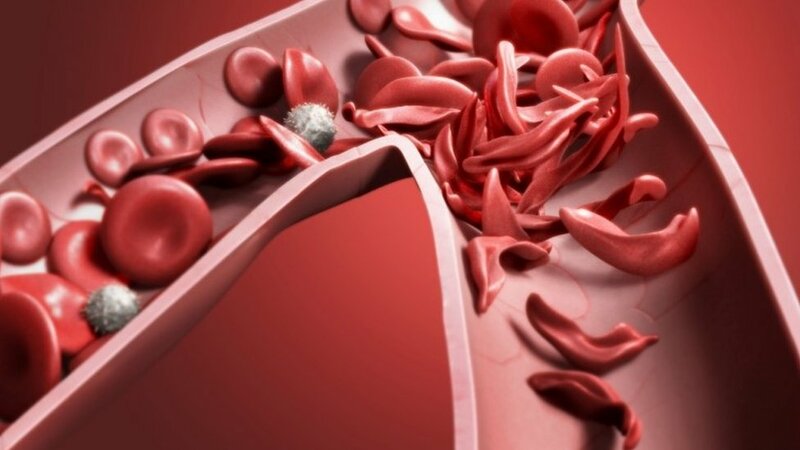 It describes how the team discovered a link between blood levels of Immunoglobulin G (IgG) antibodies and reduced chances of having a heart attack. 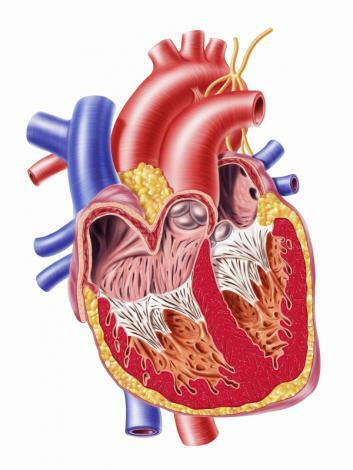 "Linking a stronger, more robust immune system to protection from heart attacks is a really exciting finding. As well as improving the way we tell who is at the highest risk of a heart attack so that we can give them appropriate treatments, we now have a new avenue to follow in future work." in a group of people with high blood pressure. 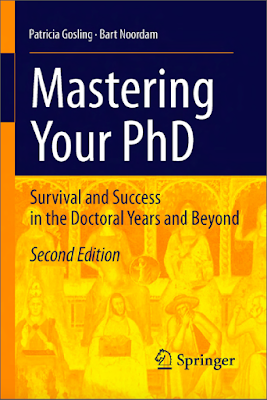 "Mastering Your PhD: Survival and Success in the Doctoral Years and Beyond" helps guide PhD students through their graduate student years. Filled with practical advice on getting started, communicating with your supervisor, staying the course, and planning for the future, this book is a handy guide for graduate students who need that extra bit of help getting started and making it through. While mainly directed at PhD students in the sciences, the book's scope is broad enough to encompass the obstacles and hurdles that almost all PhD students face during their doctoral training. Who should read this book? Students of the physical and life sciences, computer science, math, and medicine who are thinking about entering a PhD program; doctoral students at the beginning of their research; and any graduate student who is feeling frustrated and stuck. It's never too early - or too late! This second edition contains a variety of new material, including additional chapters on how to communicate better with your supervisor, dealing with difficult people, how to find a mentor, and new chapters on your next career step, once you have your coveted doctoral degree in hand. Arthritis of the knee can make taking a step painful. Swelling, pain, and stiffness in the joint are just some of the symptoms that can occur when a person has this condition. The knee joint is a hinge joint, named for its movement that's similar to the opening and closing of a door. The joint consists of three main bones. The areas where each of these bones meet are covered in a protective material called cartilage. Additional pieces of cartilage known as the meniscus further support the knee. All of these protective pieces of cartilage keep the bones in the knee from rubbing together, which can be very painful. Resistance to antimicrobials is a global problem of increasing importance. Pathogens rapidly develop mutations that render current treatments ineffective. For example, resistance to carbapenems, one of the ‘last lines’ of antibiotics, is widespread and has been observed in numerous countries; resistance to artemisinin, the gold standard in malaria treatment, has also emerged. Our current arsenal of antimicrobial agents thus has a limited lifespan and new drugs are urgently needed. 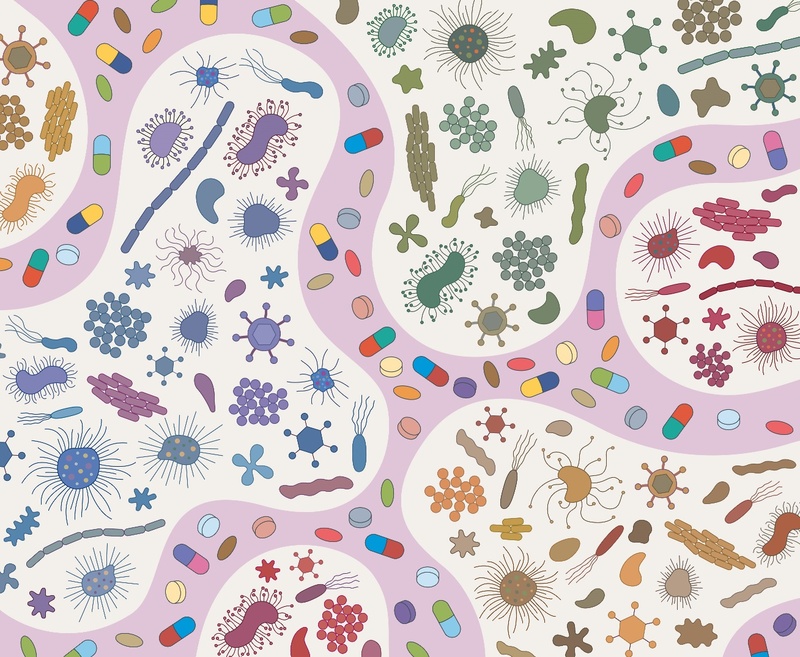 Tackling this resistance will require a deep understanding of microbial infections and the mechanisms through which resistance arises, as well as concerted efforts between academia and industry aimed at developing novel antimicrobial agents. 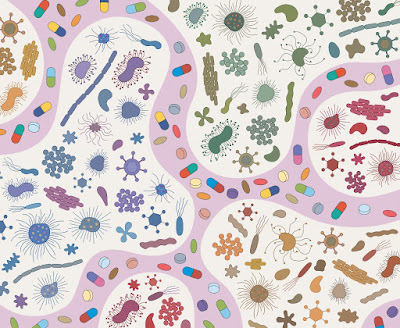 This collection consists of Reviews, Research articles, and News and Comment articles from several Nature journals, describing how antibiotic resistance emerges and detailing strategies through which new antimicrobial compounds are being discovered. 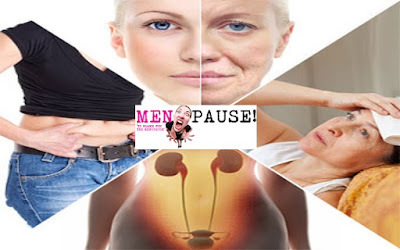 The menopause marks the time in a woman's life when her menstruation stops and she is no longer fertile (able to become pregnant). In the UK the average age for the menopause is 52 (National Health Service), while in the USA it is 51 (National Institute of Aging). About one fifth of women in India experience menopause before the age of 41. The menopause is a normal part of life - it is a milestone, just like puberty - it is not a disease or a condition. 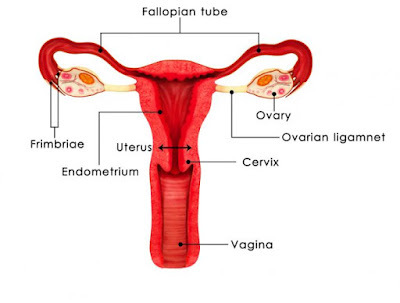 Even though it is the time of the woman's last period, symptoms may begin many years earlier. Some women may experience symptoms for months or years afterwards. Women going through the menopause may experience problems with focusing and learning. 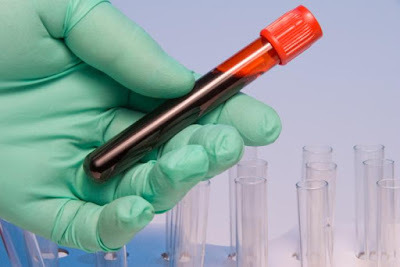 A laboratory blood test for the diagnosis of a rare genetic red blood cell disorder also shows promise in identifying HELLP syndrome, a life-threatening high blood pressure condition affecting 1% of all pregnant women. HELLP is an acronym for hemolysis, elevated liver enzymes and low platelets and is a severe variant of pre-eclampsia whose pathogenesis remains unclear. Recent evidence and clinical similarities suggest a link to atypical hemolytic uremic syndrome, a disease of excessive activation of the alternative complement. According to a handful of recent studies, okra may reduce symptoms of diabetes - a group of diseases that includes type 1 diabetes, type 2 diabetes, and gestational diabetes. Diabetes claimed the lives of 75,578 Americans in 2013, according to the United States Centers for Disease Control and Prevention (CDC). In 2014,8.5 percent of adults worldwide had the condition, the World Health Organization (WHO) report. By 2030, diabetes may be the seventh leading cause of death. A number of factors increase a person's risk of developing diabetes, including a family history of the disease. Lifestyle factors also play a role, so doctors routinely recommend diet changes and increased exercise to reduce blood sugar levels. Read more: Is Okra Good for Diabetes? 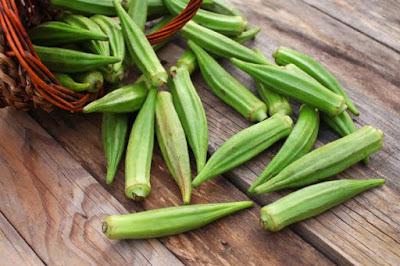 Okra belongs to the same family of plants as cocoa and cotton. Hyperglycemia is a frequent finding that can be related to physiologic stress, illness and medications, including steroids and vasopressors and glycated hemoglobin (HbA1c) correlates with the average blood glucose level over the previous eight to 12 weeks. Screening of HbA1c levels plays an important role in the diagnosis and management of diabetes mellitus in the outpatient setting but remains underused in the evaluation of hyperglycemia with undiagnosed diabetes in the inpatient setting. 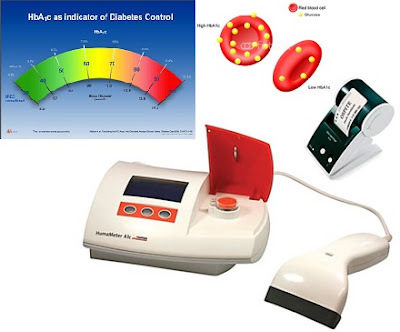 A point-of-care glycated hemoglobin (HbA1C) analyzer. in women with a BRCA1 gene mutation. 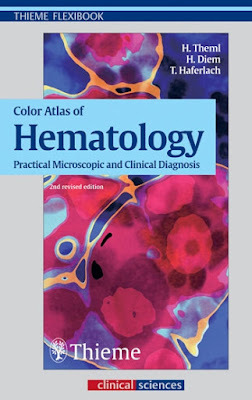 Publisher Description: A Flexibook for both the specialist and non-specialist, the new book offers accessible information on hematology in a succinct format. 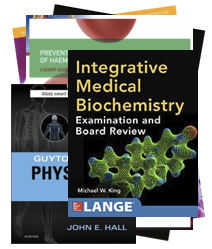 In addition to providing basic methodology, the book utilizes more than 260 color illustrations to detail the most up-to-date clinical procedures. Numerous tables and flow charts are included to assist in differential diagnosis, making this a valuable didactic reference for nurses, practicing physicians and residents preparing for board examinations. 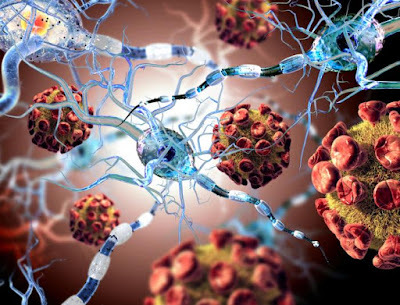 What's the Connection Between Multiple Sclerosis and the JC Virus? The John Cunningham Virus, also known as the JC virus, is a typically harmless virus. Read more: What's the Connection Between Multiple Sclerosis and the JC Virus? The NHS needs nurses to be better trained in dealing with sickle cell disease, a union has warned. The Royal College of Nursing described a poor level of awareness and knowledge in accident and emergency units about the potentially fatal disease. Sickle cell disease (SCD) is the name for a group of inherited conditions that affect the red blood cells - the worst of which is sickle cell anaemia. Ovarian Cancer: New Imaging Technique Helps Surgeons Remove More of Tumor. The amount of tumor tissue that is left after surgery is an important factor in ovarian cancer patient survival. Currently, surgeons have to rely on their eyes and hands to find malignant tissue. Now, new research shows how an imaging technique using a new type of fluorescent compound helped surgeons detect and remove nearly 30 percent more ovarian tumor tissue than usual. 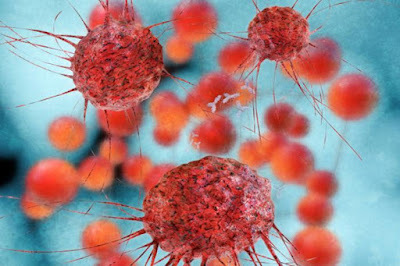 The new technique was tested in a small exploratory study led by Leiden University Medical Center (LUMC) in the Netherlands and published in the journal Clinical Cancer Research. "Surgery is the most important treatment for ovarian cancer, and surgeons mainly have to rely on their naked eyes to identify tumor tissue, which is not optimal." Read more: Ovarian Cancer: New Imaging Technique Helps Surgeons Remove More of Tumor. 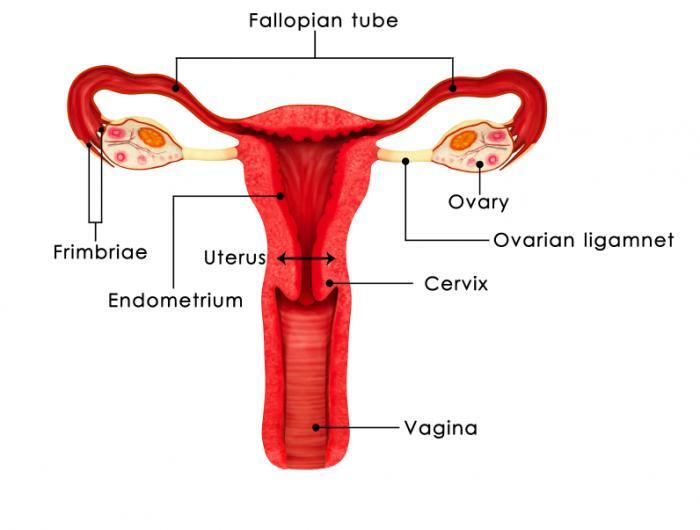 issue in patients with ovarian cancer. At present, harmful pathogens in food are mostly only discovered when people get sick. 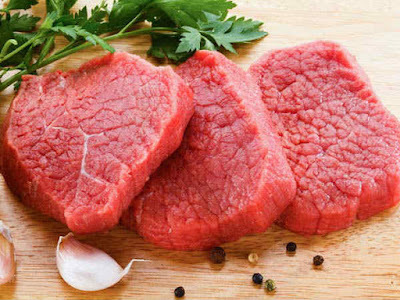 Earlier detection - preferably before food reaches consumers - could prevent many cases of foodborne illness and save the cost and effort involved in food recalls. Now, a team working toward solving this problem has developed a portable biosensor based on "nanoflowers" that detects harmful bacteria. The new technology is the work of researchers at Washington State University (WSU) in Pullman, who describe how they developed and tested it in a paper published in the journal Small. 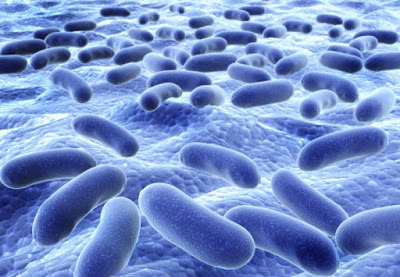 Even tiny amounts of harmful bacteria and other microbes can give rise to serious health risks, but the available sensor technology is unable to detect them easily and quickly in small quantities. The key challenge in solving this problem is finding a way to detect the faint chemical signals that the harmful microbes emit at the molecular level. can be picked up easily with a simple handheld pH meter. Molecular Biology Videos: How to Perform Colony PCR! This video on molecular biology demonstrates how to perform colony PCR as part of a cloning workflow using Thermo Scientific DreamTaq DNA Polymerase. An unhealthy diet is considered a key contributor to obesity. When it comes to cravings for sweet treats, however, impairments in the brain's reward system might be to blame. 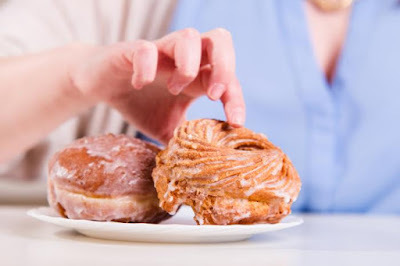 In a new study published in the journal Diabetes, researchers found age and receptor levels of the reward-associated chemical dopamine influence preference for sweet foods among people of a healthy weight, but not for people who are obese. First author M. Yanina Pepino, Ph.D., of the Washington University School of Medicine, and colleagues reached their findings by enrolling 44 adults aged 20-40 years.